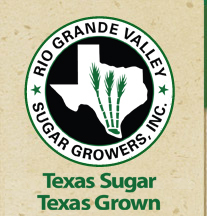 Rio Grande Valley, Sugar Growers, Inc.
Each RGVSG member grower is responsible for planting and maintaining their own crop. The sugar cane planting season extends from August to December, with full maturity requiring at least 12 months. 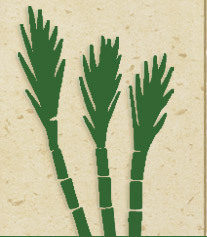 During the planting season, pieces of sugar cane stalk are planted up to six inches deep in an overlapping, straight-line pattern. Each cane piece normally contains three or four vegetative buds which germinate and eventually grow new plants. Sugar cane requires 40 to 50 inches of water annually and is a "ratooning" plant, meaning that it re-grows each year after it is harvested. Sugar cane stands can last up to five years or longer and yield an average of more than 39 tons per acre. T he cane is mechanically harvested, chopped into eight to ten-inch long pieces, and transported in specially designed high-lift baskets to a transfer point. There, the high-lift baskets place the bins on trucks for delivery to the mill. As the sugar cane leaves the field, the truck driver is given a computer card which identifies the sugar cane by field, owner, and variety. The computer card is used to identify the cane at weigh-in and again when it is unloaded at the mill. Each truckload of sugar cane is hydraulically lifted to dump the cane onto a moving conveyor. As the cane enters the mill, it is washed to remove dirt accumulated during harvesting and then milled in a series of large rollers, extracting the sweet juice from the fiber. The leftover crushed cane (called bagasse) is then conveyed directly to the mill boilers and used as fuel to generate steam and electricity. This reuse of the cane byproduct creates an energy-efficient process that saves the mill a substantial amount of money in fuel costs. The extracted juice is then heated and filtered as part of a clarification process, removing most of the remaining particles of dirt and stalk. The juice is evaporated into a heavy, dark brown syrup which is then cooked in special vacuum pans holding 14,000 gallons each. Under ideal cooking conditions of medium heat and low atmospheric pressure, sugar crystals form in the syrup. The resulting mixture of crystals and molasses (massecuite) is later separated by high-speed centrifugal force, leaving the two final products - raw sugar and blackstrap (brix) molasses. The raw sugar -- as much as 900 - 1,100 tons per day -- is transported to the sugar warehouse and the molasses is pumped into one of several one and two-million-gallon storage tanks. The raw sugar is eventually sold and shipped by barge to a sugar refinery and molasses is sold as cattle-feed.